It’s about to get hot in here! Miguel has a very special performance scheduled for Tuesday, Dec. 5 on the Honda Stage at the iHeartTheater Los Angeles! The performance will be a private record release show and quite the rare treat for fans to experience Miguel live in one of the most coveted (and lux) venues in Los Angeles. If you’re looking for that VIP experience, this is it. And your only way in, is to either be invited, or win tickets in! Miguel just released his new album War & Leisure today via Bystorm Entertainment / RCA Records. To celebrate his fourth studio album, the Grammy Award-winning singer / songwriter Miguel has announced a North American tour! Want tickets to Miguel at the iHeartRadio Theater in LA? Enter our giveaway! You have two ways to win here! You can enter via Facebook and / or Instagram, followed by an email. Be sure to follow all steps, we will verify. Head over to Grimy Goods’ Instagram, follow us, and follow the directions on our Miguel at iHeartRadio Theater LA Giveaway giveaway post. When you’re done, email us at info@grimygoods.com with your full name for guest list and a screen shot of your comment entry. Be sure to put “Miguel at iHeartRadio Theater LA Giveaway ” in the subject line of your email. Head over to Grimy Goods’ Facebook page, like the page, and comment on our Miguel at iHeartRadio Theater LA Giveaway post by tagging a friend that loves Miguel! When you’re done, email us at info@grimygoods.com with your full name for guest list and a screen shot of your comment entry. 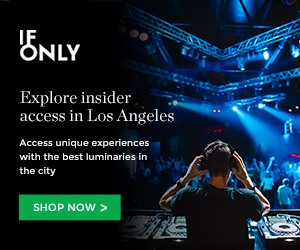 Be sure to put “Miguel at iHeartRadio Theater LA Giveaway ” in the subject line of your email. Winners will be notified on Monday, Dec. 4. We will notify winners via email and via their Facebook and / or Instagram contest entry. Winner’s name will be on a guest list the day of the show. Check-in starts at 5 p.m. No line-ups prior to 5 p.m. will be allowed. Doors open at 6 p.m. Showtime is 7 p.m. sharp! This is a standing room only event. Prize is non-transferable. The iHeartRadio Theater in LA is located at the Burbank Studios in Burbank. This entry was posted in Concerts & Events and tagged iHeartRadio Theater LA, Miguel on December 1, 2017 by Sandra Burciaga Olinger.